Renowned for its remote beauty, Socorro is the largest of four islands in Mexico’s Revillagigedo Archipelago. 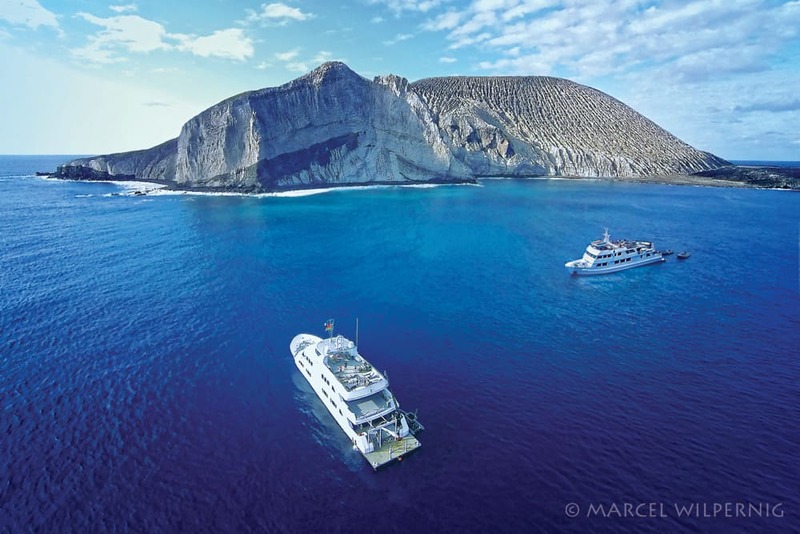 Often collectively referred to as the Socorro Islands, they lie some 250 miles (400 kilometers) from the Baja California Peninsula in the Pacific Ocean and are only accessible by liveaboard. This article will help you find the best Socorro liveaboard so you can discover the incredible region for yourself. The volcanic rock and relatively cold waters at Socorro Island attract many large marine animals. A protected biosphere reserve and a UNESCO World Heritage Site since 2016, the Socorro Islands are home to the world’s friendliest manta rays, as well as other pelagic species such as sharks, whales and dolphins. 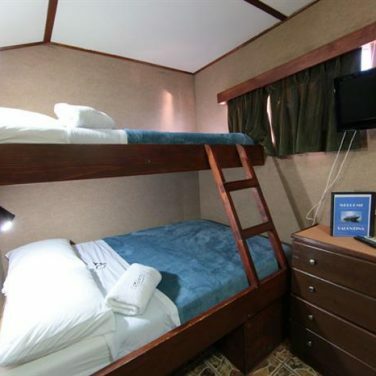 Due to strong currents, most Socorro liveaboard trips are recommended for advanced divers only. These diving expeditions last between 8-10 days. 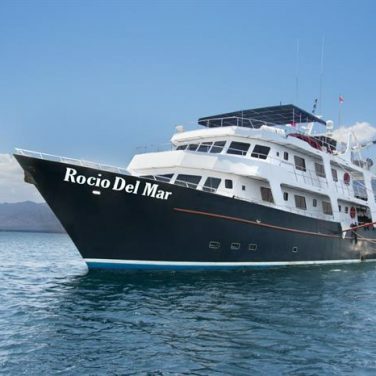 If you have the time available and room in your budget, a 14 day trip onboard the Rocio del Mar is the ultimate Socorro diving experience. These extended itineraries stop at all of the best dive sites around the archipelago, some for multiple days at a time, as well as the seldom visited Isla Clarion. And, with up to 4 tanks a day for a whopping 10 days straight, you are sure to log some incredible moments underwater. 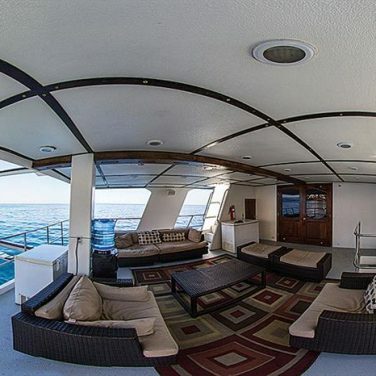 Standard trips on this spacious liveaboard are excellent as well, with plenty of room to relax in between dives, and well-reviewed meals. 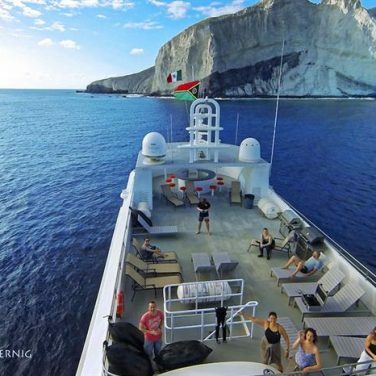 Nature lovers can indulge in the ultimate underwater experience onboard this boat’s “Citizen Science” expeditions. These trips offer divers the rare opportunity to research resident manta rays and sharks, alongside scientists. Activities include catching and tagging animals, identification, and population counts. 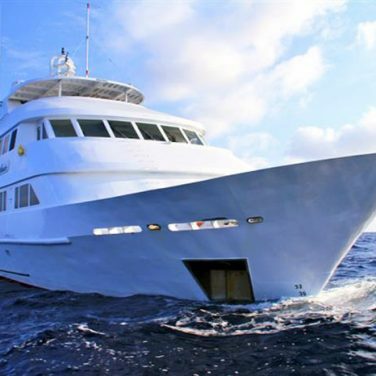 Regular itineraries on this liveaboard are excellent as well, thanks to plenty of diver-friendly extras. 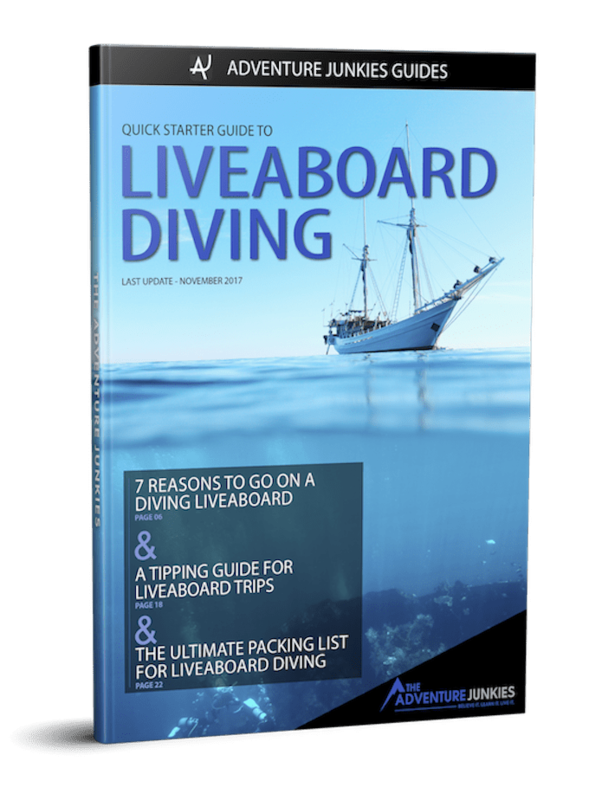 Support for tech and sidemount equipment, and multiple camera tables and charging stations, make this a top pick for experienced liveaboard divers in the region. 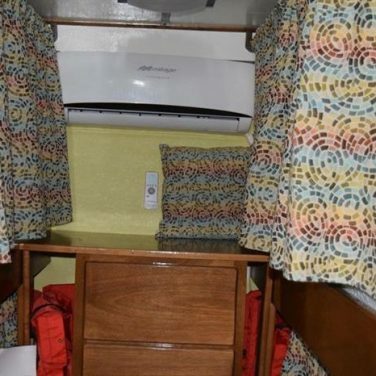 Shared cabins and common spaces give the Quino el Guardian a cozy feel, perfect for sociable travelers. 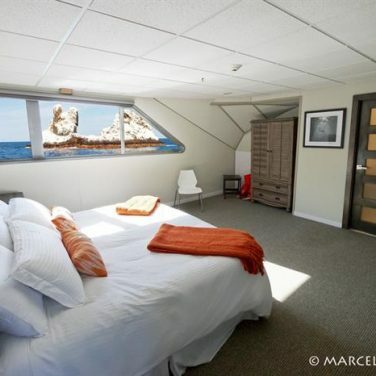 If you’re looking for luxury at sea, the Nautilus Belle Amie is your best option in Socorro. 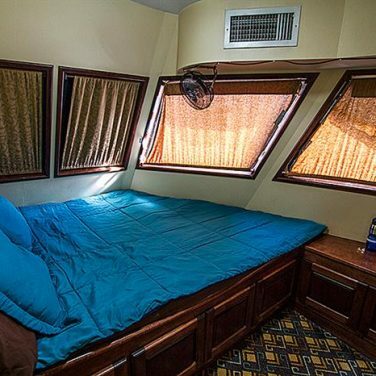 Spacious cabins, high-speed internet, on deck hot tub, and a selection of fine wines help this boat feel more like a high-end hotel than a liveaboard. 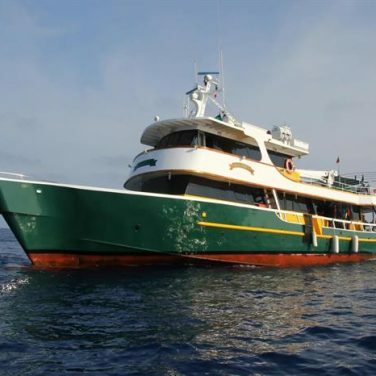 This vessel is one of the North Pacific’s top picks for groups with non-divers, and families traveling with children. But, there are plenty of perks for dedicated divers too. Rebreather support, modern camera facilities, well-reviewed dive staff, and high-speed skiffs keep this boat’s services well balanced. This top-rated liveaboard offers plenty of onboard amenities, and her 11 day itinerary may well represent the best value in the region. The Solmar V is a spacious vessel with multiple leisure decks, making it easy to stretch your legs in between dives. 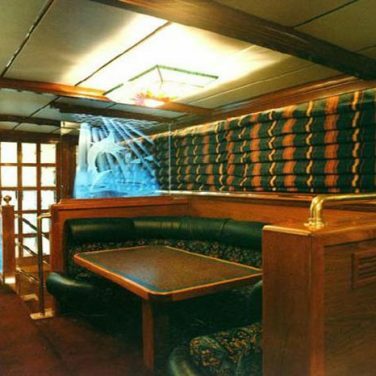 And, generous common areas above and below deck add to the roomy feel. 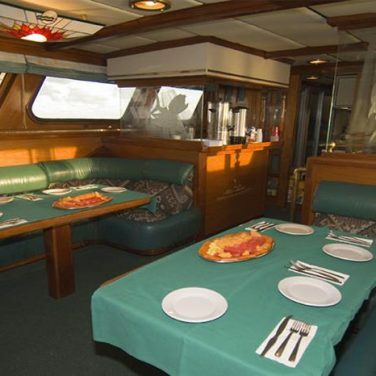 The high crew to guest ratio on this boat ensures excellent service both above and below water. With comfortable cabins and highly praised meals as a bonus, it’s easy to see why this liveaboard is frequently booked solid for months in advance. If you’re bringing camera equipment along, this boat is your best bet. 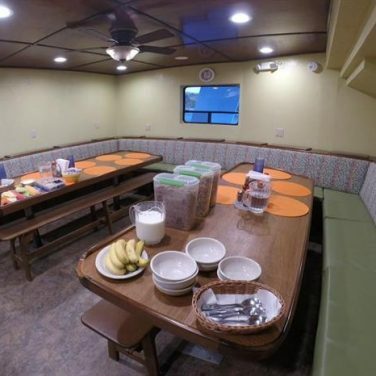 Dedicated rinse bins, a large photography station with blow dryers, and an indoor camera room with multiple charging points, make this the region’s most photo-friendly liveaboard. 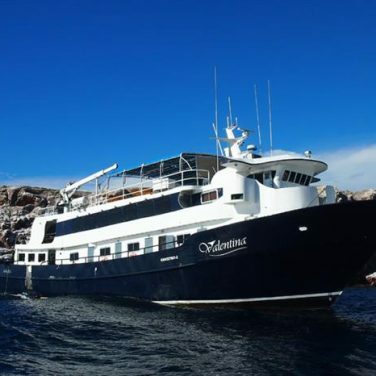 The Valentina is also a top choice for charter trips and a favorite among seasoned Revillagigedo divers. 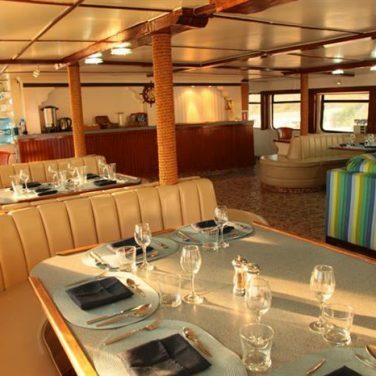 The best part of spending time on this boat is the fun, social atmosphere onboard. Divers gather around the well-stocked bar each night to share their top stories and photos of the day. Advanced. A remote, open ocean destination fueled by powerful Pacific currents, the Revillagigedo Islands are not a place for new divers. Advanced certification, experience drift diving, and at least 50 logged dives, are the minimum requirements for diving in this region. Don’t worry though, Socorro is well worth the extra effort and experience. 9 to 14 days. Far removed from Mexico’s Pacific coast, Socorro is not a destination for quick trips. Shortened journeys lasting just 9 days will allow you to explore the region’s highlights, but extended itineraries are a better value. Remember, you’ll spend multiple days traveling to and from this remote archipelago. The liveaboard dive season in Socorro runs from November through May. Though water temperatures plunge during winter months, December through February is the most popular time to visit, and peak season for large pelagics. Divers can expect an unpredictable and ever-shifting climate of mist, rain, baking tropical sun, and chilly windswept nights. Water temperatures range between 70 to 82° F (21 to 28° C) with the coldest months during peak season. Pack a 7mm full suit, hood, and gloves to keep warm if you’re planning to make 4 dives a day. When compared with other Pacific diving areas, the water around Socorro is surprisingly clear! You can expect 50 to 98 feet (12 to 30 meters) depending on the season, plankton, and dive site. Welcome to one of the wildest places on planet earth. Socorro boasts a formidable volcanic landscape both above and below water, setting the stage for thrilling drift dives. And with some of the North Pacific’s most exciting species on parade, it’s easy to see why experienced divers flock to these remote islands. Mexico’s pelagic paradise, Socorro is home to some of the biggest fish in the ocean. Dive groups encounter whale sharks, manta rays, schooling sharks, and even pods of friendly bottlenose dolphins while exploring the archipelago. Though you won’t see any coral at these dive sites, there is still plenty to see and do underwater. Socorro is the kind of place where anything can happen underwater and usually does. Come prepared for mind-blowing encounters with megafauna and high-speed drifts. One of the biggest thrills diving around the Revillagigedo Islands is a chance to swim alongside hundreds of schooling silky, silvertip, and Galapagos sharks. Beginning in early May, when water temperatures around the archipelago start to rise, large groups gather in the depths. Though weather can be unpredictable, this is a great reason to visit at the end of the diving season. In early November, just when Socorro’s waters start to cool for the winter, plankton begins to bloom. This massive feast of microorganisms attracts hundreds of migratory whale sharks to feed. The sharks swim effortlessly in the current, eating all the while. And, thanks to Socorro’s excellent visibility and stunning underwater topography, these encounters are a favorite among photographers. Socorro’s resident population of giant oceanic manta rays is the friendliest on planet earth. Unlike anywhere else in the world, these massive and graceful animals approach, and often follow groups of divers. Some liveaboard operators in the region even claim that the rays are attracted to the sound of their boat engines. Though plankton blooms increase their numbers, these mantas aren’t migratory. So, no matter what time of year you visit, you’re sure to spot one or two. The island of Socorro is home to a famously high number of hammerheads. Here, the sharks gather in groups of 10 or more to patrol the reef’s edge. Divers nestle among the rocks and watch, as large schools, sometimes in the hundreds, cruise past. Hammerheads also make blue water appearances around the archipelago, commonly encountering dive groups while on their safety stop. Though the sharks are present year-round, you have a better chance of seeing them during winter months when they venture up from deeper water to feed and visit the area’s cleaning stations. When it comes to diving in Socorro, more time is always better. The islands are extremely remote, more than 20 hours off the coast. So, you’ll spend a lot of time in transit. But, good things are worth waiting for. Liveaboard diving in Socorro is hailed as some of the best in the North Pacific, perfect for experienced divers and underwater photographers. Traditional 9 day trips around the archipelago deliver 6 full days of diving. These itineraries stop at San Benedicto, Roca Partida, and Socorro Island before returning to San Jose del Cabo. You can expect 3 or 4 tanks a day, with about 20 dives in total for a standard expedition. Keep in mind that cold can be a factor, here. 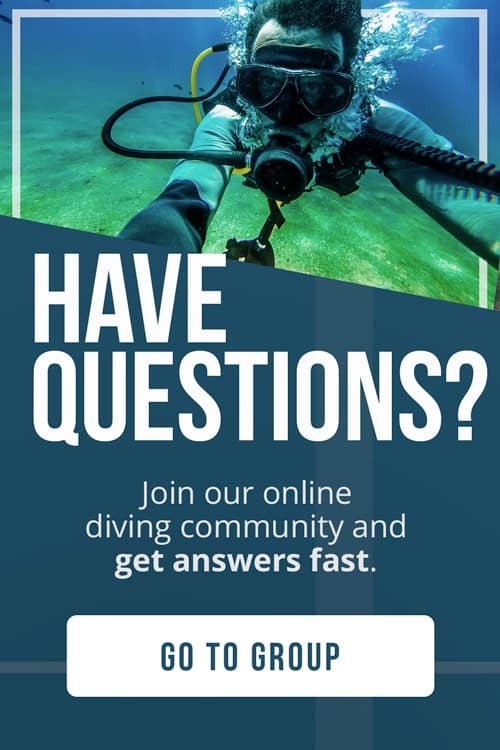 Bring plenty of exposure protection for during and between dives if you’re planning to take the plunge as many times as possible. Extended itineraries, lasting up to 14 days, are the best way to explore the Revillagigedo Islands in full. Only these longer voyages stop at Isla Clarion, the region’s best destination for observing humpback whales. And, with upwards of 30 tanks in a trip, you’re sure to encounter Socorro’s famous megafauna on multiple immersions. If you’re planning a lengthy trip, keep this area’s remote nature in mind. Photographers should pack plenty of backup equipment and spare parts. 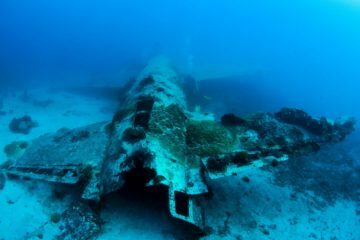 And, all liveaboard divers should prepare for potentially rough and challenging conditions both above and below water. The diving around Isla Socorro is so impressive that the entire archipelago is typically referred to as “Socorro.” The island itself is one giant dive site, home to some of the region’s most impressive megafauna. Cabo Pearce is famous for encounters with playful manta rays. Roca O’Neal, nicknamed “hammerhead central” is the best place on planet earth to spot schooling hammerheads. And, Punta Tosca is home to several pods of super-friendly dolphins. Groups of divers are often approached, and even followed, by these curious animals. Shallow coves and inlets around this island make perfect breeding and birthing grounds for humpback whales. During colder winter months, sightings are almost guaranteed. The “split rock” is a submerged pinnacle, rising vertically from the ocean’s depths. This area is famous for sightings of large game fish like marlin, tuna, mackerel, and wahoo. But, the rest of the region’s supersized residents are found here, too. Giant manta rays, schooling hammerheads, galapagos sharks, and silky sharks are often encountered on one single dive. This open ocean site, swept by strong currents, may require divers to hold tight to the rocks while observing these passing pelagics. Small caverns near the surface are a great place to observe napping white tips and nurse sharks, and on calm days dive groups may hover here in the blue hoping to spot feeding whale sharks. 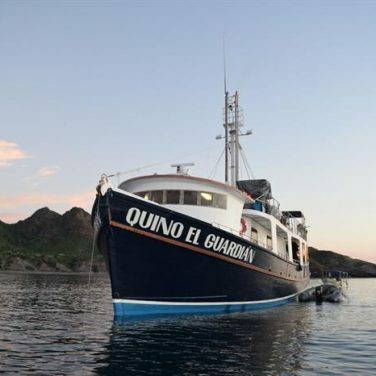 Most liveaboard itineraries in the Revillagigedo Archipelago begin at this island. And, it is the region’s best place to observe giant oceanic mantas. Here, massive cleaning stations, like The Boiler, invite schools of these incredible animals, as well as whale sharks and the occasional tiger shark. If you’re hoping to spot schooling sharks, a nearby dive site named The Canyon is your best bet. Galapagos, silky, and hammerhead sharks frequent this rocky slope in great numbers. 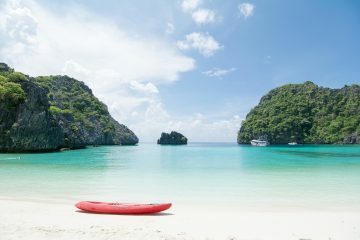 This is one of the region’s calmest dive sites, making it the perfect warmup for the rest of the archipelago. And, if you brought a camera and video equipment along, this is the best place to test it. The least dived of the islands; Clarion is without a doubt the most remote. Only extended itineraries reach its rocky coast, and voyages this far west are highly dependent on weather. The region’s endemic species, the clarion angelfish, famously seen pecking away parasites at cleaning stations throughout the archipelago, is named for this island. Shallow slopes and boulder fields in the area are well known for encounters with mantas and whale sharks. Sulphur Bay, located on the far south side of the island, is a hotspot for mating and calving humpback whales.